PayPal is full of important personal and financial information that makes it easier to shop and send money online, so you should probably do the best that you can to remember the password to your account. In the event that you can’t, though, here’s how to get back into your account. Go to www.paypal.com and click Log In. Click Forgot Your Email or Password? Type in your email address, and complete the security check. Select a primary account verification method. Select a secondary account verification method. As we’ve said before, PayPal needs to stay secure to protect its users’ sensitive information, so the process for resetting your password is a bit lengthy. However, this makes it difficult for cyber-thieves to arbitrarily reset other people’s passwords, break into their accounts, and steal their identity and financial information. Below is what the entire operation looks like, from start to finish. 1. Attempt to log into PayPal. 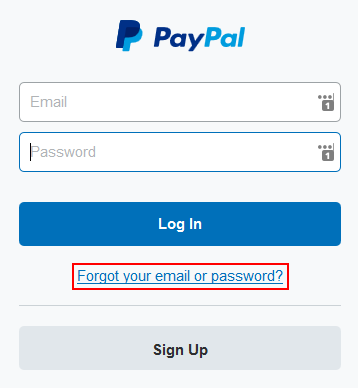 Go to www.paypal.com and click Log In in the top-right corner. 2. Request to reset your password. When the log in screen appears, click Forgot Your Email or Password? 3. Enter your email address, and pass the security check. 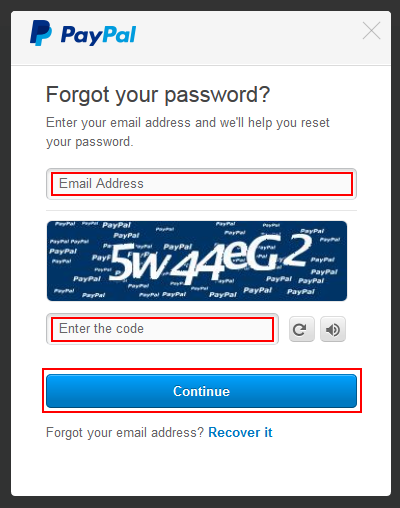 Click in the box labelled “Email Address” and type in the email address that you used to sign up for PayPal. Then, click in the box labelled “Enter the Code” and type in the distorted numbers and letters that you see in the graphic above the box. Then click Continue. 4. 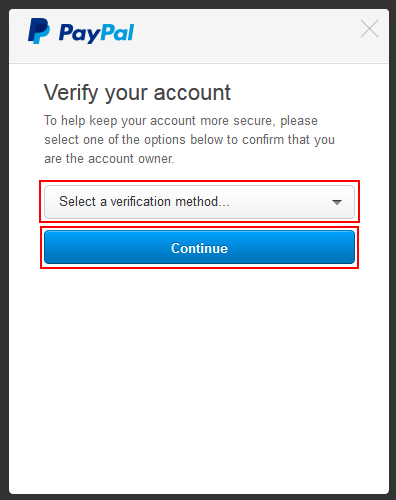 Select a method for verifying your PayPal account. You will have to verify your account before you can reset your password. Click the drop-down menu labelled Select a Verification Method and select one of the options. For the purposes of this tutorial, we’ll select email. Then click Continue. 5. Enter the verification code. Go to your email client and log in. 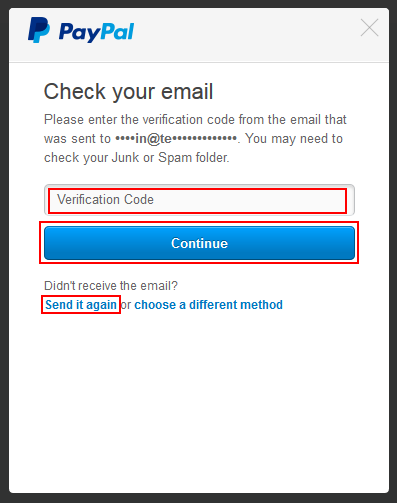 Find the email from PayPal titled “Verification Code to Reset PayPal Password” and click on it to open it. Find the verification number written inside, and then switch back to the screen below. Click in the box labelled “Verification Code” and type in the number. Then click Continue. 6. 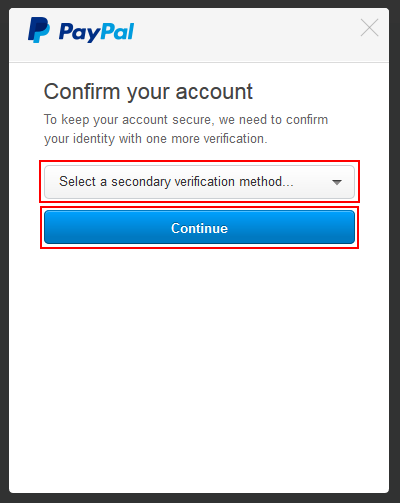 Select a second method for verifying your PayPal account. You will have to verify your PayPal account one more time before you can reset your password. Click the drop-down menu labelled Select a Secondary Verification Method and choose one of the remaining options. This time, we’ll select an automated phone call. Then click Continue. 7. Enter the second verification code. You will receive a phone call at the number that you entered when you signed up for PayPal. 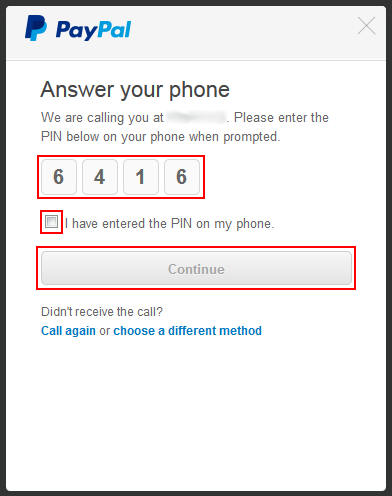 Answer it, and when you are asked to do so, use your phone’s dial pad to enter the four numbers shown on the current screen (though not the numbers shown in the screenshot below; yours will likely be different). After doing so, click the check box to mark it and tell PayPal that you have verified your account by phone. Lastly, click Continue. 8. Enter a new password. Finally, you will have to pick a new password to protect your PayPal account with. Click in the box labelled “Enter a New Password” and type in the password that you would like to use from now on to secure your PayPal account. 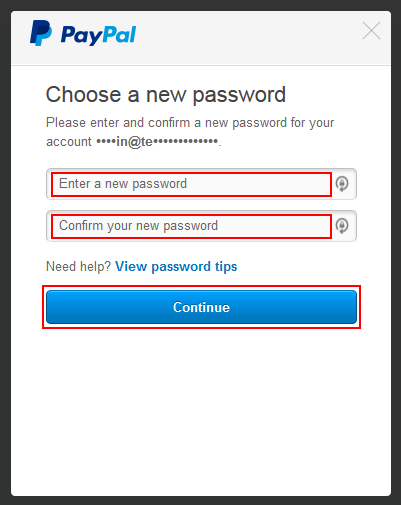 Then, click in the box labelled “Confirm Your New Password” and type in a copy of the new password that you just picked. Finish up by clicking Continue. Now you know how to reset your PayPal password if you need to!